At M&M Moving Company, we understand that packing requires expertise. Whether residential properties or business goods and properties, you need to be sure of zero damage, and that is what we offer. We are also fully licensed to provide packing services in the Texas area. Our movers have been helping businesses, individuals and families in the Texas area move for over two decades, and we are committed to the full protection of our properties and goods. When you engage our packing services, we deploy a team that is both experienced and has the best tools to pack your prized possessions. Packing is an important aspect of every move and could be overwhelming if not carried out by experts. We provide that expert service you need to ensure the safety of your goods and properties. Whether you just require our packing services or you need both packing and moving services, we are ready to handle your request with expertise. You can engage our services to both pack and unpack your rented truck. You could also engage our packing and moving services. Our packing and moving services are available for both short and long-distance destinations. Businesses, individuals and families have engaged our services for the last two decades, and we have built a customer base with hundreds of customers. Our team comes fully equipped with tools specific to your needs. Before we deploy a team to pack your goods and properties, we create a strategy to for your request. We do not run a single approach for all requests at M&M moving company. We will also communicate the processes involved in packing your properties and goods to you, explicitly to earn your trust even before we begin. 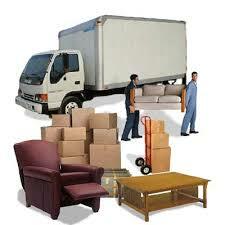 M&M Moving Company’s commitment is not just to packing your goods and properties. We ensure that you are totally satisfied with the process and not stressed in any way. Leave it to us to pack and unpack your properties and goods the right way. The packing materials we utilize are of the best quality. We wouldn’t want to jeopardize the quality of our services with low-quality materials, so we painstakingly ensure that every material and tool we use is made of the best quality. Our packing and unpacking services are also tailored to accommodate the most fragile items, so you don’t have to worry about if we can handle glass and other fragile materials. We safely pack and unpack delicate items in both homes and offices. Our team is specially trained to move fragile items. We do not leave any mess behind. Our materials and tools used are well packed and disposed of after use. We take the entire packing and unpacking process which could be quite messy off your hands. Get in touch with us today and enjoy the M&M quality of packing and unpacking services. We have served the Houston area for over two decades, and we aim to achieve complete customer satisfaction.